Rock Salt USA is one of the leading suppliers of ice melt products, bulk rock salt, and bagged premium rock salt in Springdale, AR. When you need the best quality premium rock salt that is guaranteed to cut through the thickest ice, you can trust us to supply what you need. 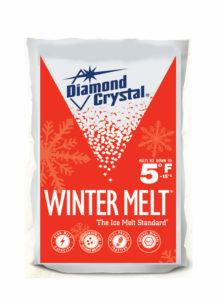 We offer ice melt salt that is competitively priced to get you through the long winter months in Springdale, AR. We also provide nationwide delivery on truck load rock salt to anywhere in the continental USA. At Rock Salt USA, we offer a variety of different de-icing products to help you keep your walkways, stairways, and premises safe and clean. Our de-icing salt has been proven to work effectively in even the lowest temperatures and in areas where the ice has built up. Whether you are searching for commercial ice melt or industrial ice melt products, we have the best prices and fast delivery and pick up services. In addition to ice-melt products, you can also look to Rock Salt USA for Premium rock salt, HI-way rock salt, calcium chloride flakes, and magnesium chloride pellets. Our de-icing salt is powerful enough to clear away ice in even the lowest temperatures. Give us a call to place your order today!